Kocoum (Pocahontas). A rather...revealing drawing of Kocoum from Pocahontas done দ্বারা David Kawena. This is him if he was an underwear model. (He's my favorite.) ;). 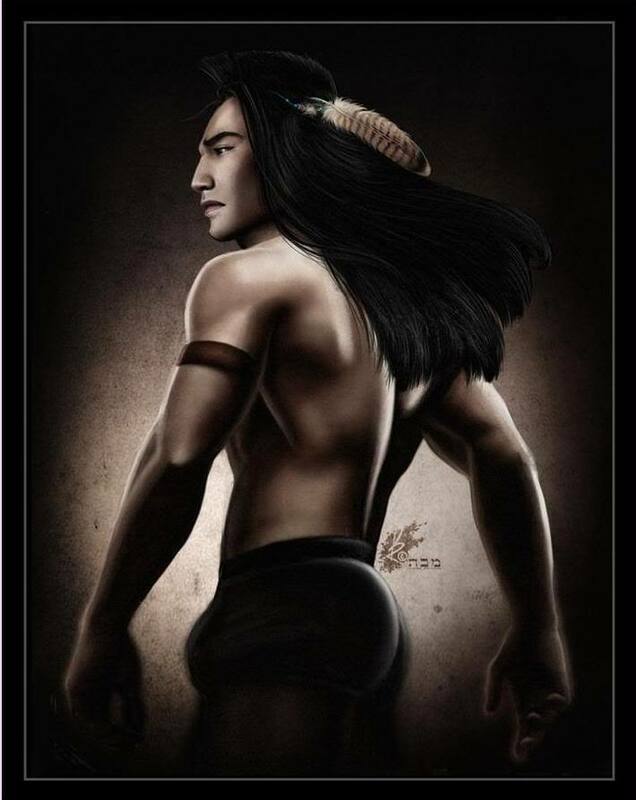 HD Wallpaper and background images in the প্রথমশ্রেণীর ডিজনি club tagged: disney fan art kocoum pocahontas deviantart david kawena underwear model. This প্রথমশ্রেণীর ডিজনি fan art might contain চটক, আপীল, and হটনেস. I don't know if anyone is familiar with the 90s TV show Dr. Quinn, Medicine Woman, but this picture of Kocoum looks an awful lot like Cloud Dancing. Totally HOT! And he is very endowed!! WOW 0_0 (love it)!!!! I remember "Dr. Quinn, Medicine Woman"! I used to watch that EVERY week! Great show!